The McCallister Law Firm just sent this news release: "Cyndy Short, Esq. has confirmed she is no longer working with the family of Lisa Irwin as their legal counsel." So much for Cyndy saying yesterday that she works for the client and nobody is firing her. I have read that John Tanko is Black. I have read that John Tanko is white. However ... no photo. Could you or someone please provide a link to an image of Jersey (John Tanko). I did attempt a search. jersey - what I know. snipped; in video he worked at Irwin neighbors home doing yardwork. I'm just speculating...it could easily work with KISS and it is kind of weird with all the sightings and weird things going on in this case. This is the kind of nut that would steal cellphones, leave lights on, call someone with the stolen cellphone imo. He is in custody and a felon known for Breaking and Entering and last but not least people do break in and leave no forensic evidence. Also as he was a parole violator he was supposed to be picked up by the local LE...wouldn't look good for them for sure. Makes me wonder why they knocked down the abandoned house with the well so fast; it also was a Jersey connection. So many odd things in this one who knows...I don't. 50 second phone call, interviewed 4 times by LE, walked thru neighborhood with ex-boyfriend....just sounds really crazy. Janet - 3 pictures this page of the one in custody. Could it be that those cell phones disappearance because activity would reveal that Debbie was not in bed between 10:30 PM and 4:00 AM and ... Jeremy was not at work at the 12:15 PM neighbor witness sighting of a man carrying a baby and ... he was not home at the 04:00 AM motorcyclist witness sighting of a man carrying a baby? Offender data is current as of 10/14/2011 09:00 PM. Of course, the man looks like cousin Mike from Texas. Kansas City attorney Cyndy Short confirmed shortly before noon today that she no longer is representing the parents of missing 11-month-old Lisa Irwin. Her office released a one-sentence statement announcing that Short is no longer the local counsel for Jeremy Irwin and Deborah Bradley, who also have been represented by New York lawyer Joe Tacopina. The statement did not say why Short is gone from the legal team. Police are continuing to search for Lisa, who vanished from her home more than three weeks ago. My question is who placed it. If db placed it, she's done. Also maybe that's why short is gone, wanted to make a deal atm. 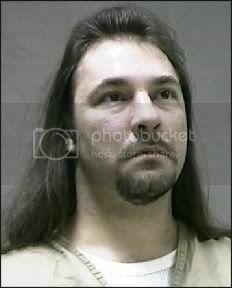 The mug shots of October 14th that appear along with the description reveal that John Tanko is short and has long hair. The 12:15 AM neighbor witness claims the contrary in regards to the man she and her husband observed carrying an unclothed baby on the morning that baby Lisa disappeared. Was a text message, placed, first? Are you ready? This was rumored in the beginning. Babybear, you are welcome, I listened twice, because it did not make any sense. Humm, I'm wondering when did Le talk to megna(said 4 times). Maybe Le is releasing info in small amounts for a reason. They've had the phones from what day 1? Le can/probably has it already, the text message. Wonder what it says. I agree with you or hang up. Who listens for more than five seconds, at 2:38 am? I listen less than fifty seconds, to a telephone solicitor, includes me asking to be removed, from their phone list. I doubt if a phone solicitor was calling at that time. I know that they haven't listed John Tanko as a suspect...I am just adding this in case anything more is said of him and we need to look further. Here is an arrest of his in New Jersey. More recent ones, I guess. This message for who asked to see a picture of Jersey. aw geez megan's ex's father is a freakin' electrician. Founder and owner of Prosperity Electric LLC , Steven Leverette Sr., is a licensed Master Electrician. He has over 2 decades of professional electrical experience including planning, design, consulting, training and installation. Steven has served at the union and non union level and understands the needs of clients from both perspectives. JI worked a second job, (asking outloud) could his second job, be connected to this company? Where doe his son work?